Why does the ghd Professional Classic 1″ Styler Work So Well at Straightening Short Hair? Do you like to straighten your short hair with a flat iron but you are scared to death that doing it will damage your hair? It’s a distinct possibility if you don’t do it the right way and use the right flat iron when straightening your hair. There are a few straightening irons that we are hearing work better than most on short hair. One of them is the ghd Professional Classic 1″ Styler. Read along with us as we learn more about this flat iron to see if it does truly work well at straightening short hair. This is a really easy to use straightening iron from ghd. It takes a lot of the guesswork out of straightening your hair. It only has one mid-range heat setting (365°F) so it’s safe for most hair types. It features a versatile 1” wide plate size too. 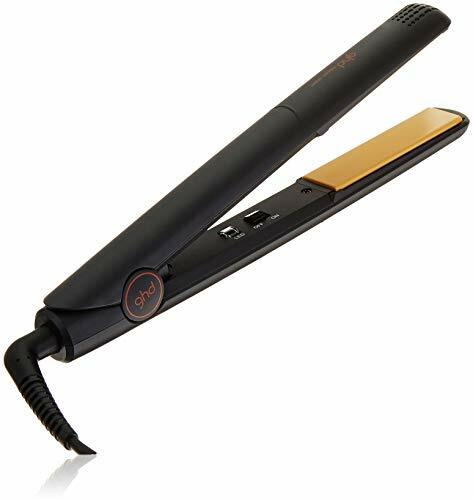 This hair straightener for short hair also heats up in just a few seconds thanks to its ceramic coated heater plates. You can use this flat iron for a long time and not get tired too. It only weighs a lightweight (12 ounces). The specially contoured edges on it make it great for curling short hair and adding waves to it also. The ghd Professional Classic 1″ Styler offers you a lot of freedom when you use it thanks to its generous size 9-foot power cord. This hair straightening tool will also automatically shut itself off after 30 minutes of inactivity with it. 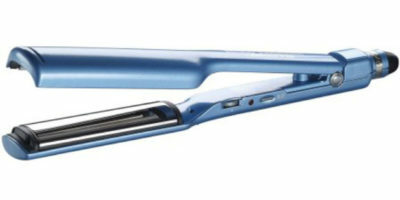 One of the main reasons this flat iron works so well on short hair is because of its 1-inch heater plate width. That is the perfect size for straightening out short hair. Bigger width flat irons just seem to have trouble being used in a smooth manner on shorter hairstyles. The ceramic coated heat plates it has will help when straightening your short hair too. They really allow your hair to slide across them easily without it getting damaged. 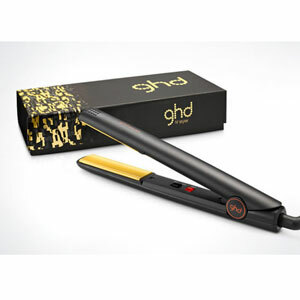 These ceramic coated plates also allow this flat iron to maintain its temperature better as you use it. You will get no complaints from us about the warranty you get with this flat iron model. Although it is only 2-years long, the company refers to it as a guarantee, not a warranty. That means it tends to be totally comprehensive with no questions asked throughout the entire warranty period. We did have a few concerns with the ghd Professional Classic 1″ Styler and all of them have to do with its temperature setting. One was the fact that it only has one heat setting. We certainly like to see a little more heat versatility than that. Even just one setting higher than 365°F and on setting lower than 365°F would have made this flat iron much more appealing to us. One of the big problems with not having multiple heat selections is it can cause problems when straightening some types of hair. For instance; we think its single temp setting of 365°F is not ideal for fine short hair. 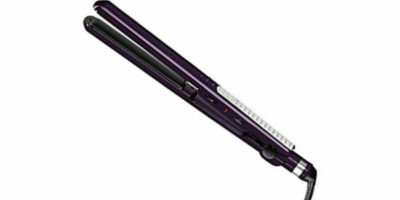 Other than what was discussed about only having one heat setting we really like this flat iron. It has a great design that really caters to short hair. This is due to its 1-inch wide heat plates and its contoured design. The ceramic heater coating adds a nice extra dimension to it and its 2-year guarantee gives you a lot of peace of mind during that warranty period. It’s a flat iron that is worth considering for purchase if you are in the market for a new one to straighten your short hair with.